This week has been great as I have started to feel stronger and fitter. Kayser and I are especially chuffed about the improvements we have made to my squatting technique. The squat really is a king amongst exercises as it engages your entire body (when done correctly), and it is therefore a crucial exercise for gaining strength and building muscle. Turns out making sure your knees don’t go over your toe line is a common misconception – it’s actually all about letting your knees go forward (good flexibility of the achilles heel is important for this) and keeping complete body tension for stabilisation. This actually works your entire body and especially the core, as I noticed, a lot more! At the end of the full body pump I felt a bit cocky about doing one last high intensity cardio unit only lasting four minutes, but I should have known better. Halfway through the only thing keeping me going was Kayser’s motivational calls. I made it, but barely. This will be the last week of full body workouts during sessions for now, as next week we’ll be hitting separate areas of the body in order to increase the intensity and focus even more on technique. Grab the bar with a medium grip. 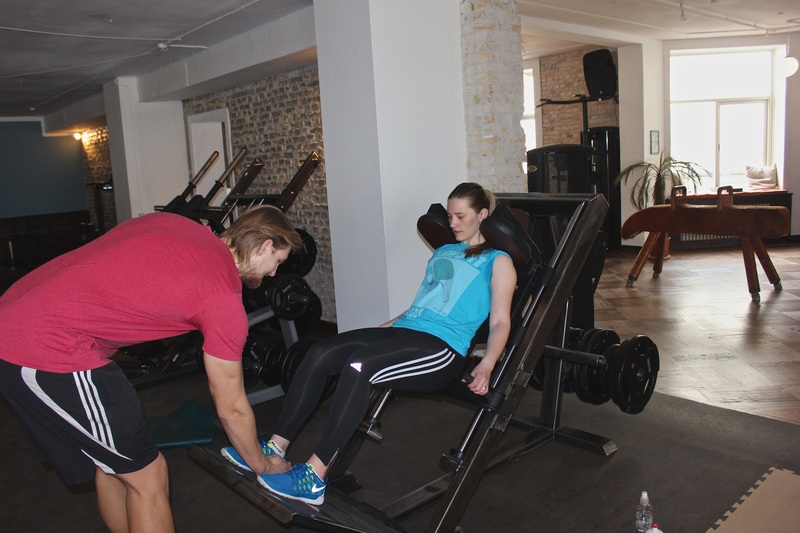 Put your feet directly under the bar, get under it and put it between your traps and rear shoulder muscles (‘low bar’). Chest up, upper-back tight. Unrack the bar by squatting up. Take one step back with one leg, one with your other leg. Stand straight with your knees and hips locked for maximum stability. Keep your upper-back tight. Take a big breath, hold it and squat. Do this by pushing your knees to the side and your hips back and down. Squat until you break parallel – your hip crease must go below the top of your knee. Hold your breath at the bottom. Don’t stop and quickly reverse the movement by driving your hips straight up. Keep your knees out, your chest up and your upper-back tight. Lock your hips and knees at the top. Exhale and rest a second. Then take a big breath, hold it and squat your next rep.
Protects artery walls from damage (flavonoids in almond skins work in synergy with vitamin E, thus reducing the risk of heart disease). 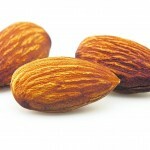 Helps build strong bones and teeth (phosphorus in almonds helps make this possible). Provides healthy fats and aids in weight loss. Helps provide good brain function (almonds contain riboflavin and L-carnitine, nutrients that boost brain activity and may also reduce the risk of Alzheimer’s disease). 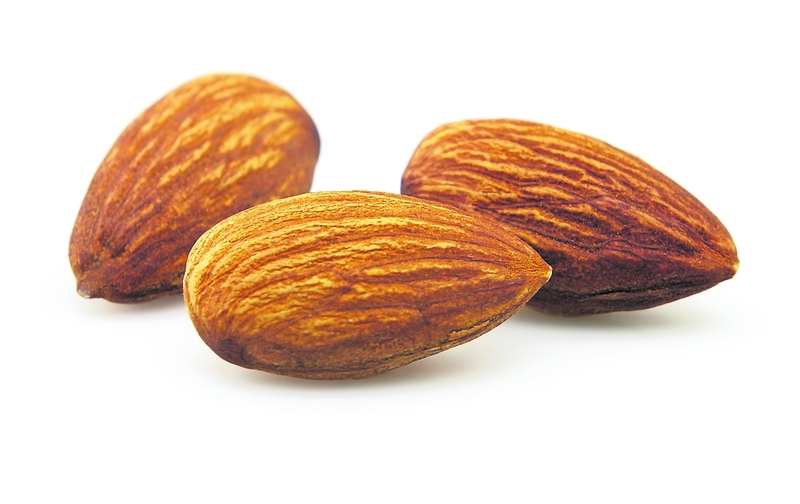 Alkalises the body (almonds are the only nut and one of the few proteins that are alkaline forming. When your body is not alkaline enough, you risk osteoporosis, poor immune function, low energy and weight gain). 4 sets of 10 reps – 30-second break. Finish with a dropset, which involved reducing the weights by 40 percent and going for as many reps as you can after you finish your sets.